Home hunting? University District is here to help! Making the right residential move is important. Your home is the foundation for your daily life so understanding your choices is a great place to begin – environment, neighbourhood, and services and amenities are all things to consider. 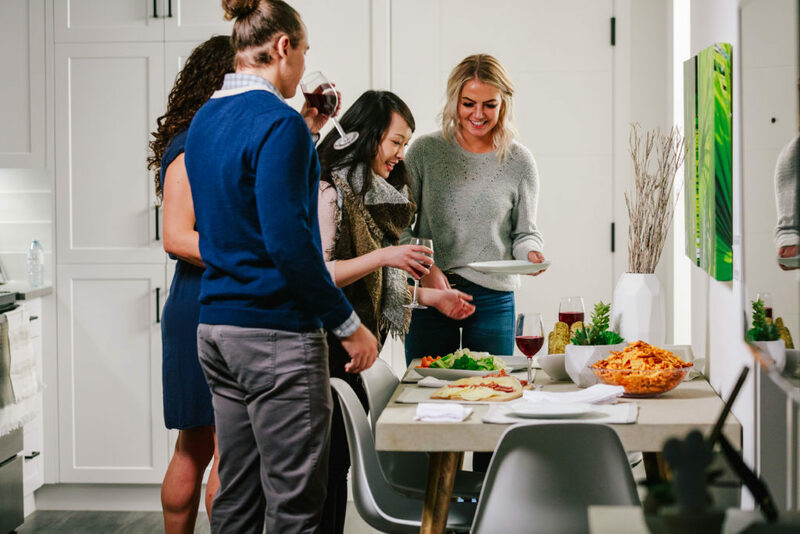 In this edition of U/D’s homeowner’s guide-to-buying, we explore how to make the move from a house to a condo with our builder partners Avi Urban, Brookfield Residential and Truman, each happy to discuss why homebuyers are choosing urban multi-family homes in Calgary. Curious about the upside of condos and multi-family homes? What about making the move to a condo to simplify your life? Where should you live? Let’s dive in. What are the benefits of living in multi-family housing in an urban community as opposed to suburban, single-family housing? BROOKFIELD: Multi-family homes are a great choice for those who are looking to move to a more efficient space and accessible community. Buyers are looking for a lifestyle where they have easy access to everything they need as the community is very walkable and puts amenities within reach, even if you don’t have a car. This is especially helpful for many of our buyers who work at University of Calgary, Foothills Hospital or the Alberta Children’s Hospital, who are able to walk to work from The Ivy. Multi-family does not equate to a small or cramped living space, The Ivy offers many different floor to suit each buyer’s needs. TRUMAN: The major difference for an urban community would be the social activity. Benefits also differ slightly for different buildings with unique focuses. Maple at U/D, our independent-living residence is connected to Cambridge Manor, a residence for seniors with varying lifestyle needs, offers homeowners the chance to live close to loved ones who may need additional care as they age. This is another important reason to consider multi-family homes in an urban environment—proximity to loved ones and in the case of U/D, an infrastructure that can support residents across diverse age groups. AVI: Multi-family homes offer different opportunities to different people. For example, our residence, August aims to provide a more affordable approach to home ownership than one might find in single-family homes. The spaces are smaller than a stand-alone home, but also incredibly efficient and ideal for those who are looking to eliminate unused space and maintenance. For those looking to downsize, multi-family homes can provide immediate adjacency without being tied down to the responsibilities and needs of a single-family home, but can still enjoy the benefits of one (green spaces, areas to host gatherings, etc). When it comes to downsizing, do you have any helpful hints to simplify the process? BROOKFIELD: Do not be afraid to get rid of items you do not use. There are some great charities in Calgary that are always ready to receive donations that can come from when we declutter our spaces! A great way to begin the process is taking the time to determine your lifestyle needs, and what items we truly need versus excess belongings that are being unused and collecting dust. TRUMAN: Think about unusable square footage and off-site storage. Many people feel that they need a larger floor plan than what they will actually use and frequently the extra space is used to store seasonal items or occasional use products. When purchasing a property, consider the price per square foot and whether or not the space will be used to its fullest potential. If you are someone that has lots of seasonal items like outdoor gear, consider a storage unit or instead opting to rent instead of buy, it’s inexpensive and convenient for those trying to minimize clutter. AVI: While this process is personal and unique to individual situations, it’s good to remember that as our lives progress, our needs change, and so do our habits and activities. Consider U/D’s lifestyle as one of convenience and walkability — being closer to things that make life enjoyable might eliminate the need for items that were once regularly used. The idea of “losing stuff” shouldn’t be negative, think of the upsides of what freedom can be gained from eliminating excess from our lives. What about different product types in terms of multi-family housing —what’s out there that people should be familiar with as a choice, especially at U/D? BROOKFIELD: University District is unique in that it offers everything you need within walking distance. Your shopping, parks, cafés, access to public transit — it’s all here. Residents can look forward to exploring the many parks and green spaces accessible just a few minutes’ walk from home at The Ivy. Features like the extra-wide sidewalks make the neighbourhood especially pedestrian-friendly. Buyers at The Ivy are invited to visit The Studio by Brookfield, .there they meet with our team of professional interior designers, who will take them through options and finishes to create the look they want for their new home. The home sizes provide a different kind of luxury. Each of the development’s 127 townhomes comes with a private, attached garage, and select home models also come with unusually wide interiors that give the homes the look and feel of single-detached homes. TRUMAN: At U/D we offer condos and townhomes, and our residences, Maple and Noble, are home to a host of different layouts, designs and finishes. To get a sense of what awaits in terms of sizing and specs, we welcome you to visit our show suites at U/D’s Discovery Centre. When it comes to selecting your space, we recommend that you base your floor plan choice on what areas within a home are important to you. Do you use your dining table every day? Or do you use it only on occasion and prefer to eat within the kitchen at a table or at an island? Will stairs work for your home, or is ease of mobility and minimizing elevation changes a major consideration? The thought of an outdoor space is always romantic, but how often would it be utilized in your own day-to-day life? Try to pinpoint how much space is ideal for your needs, vs paying a premium to have an oversized or underused amount of square footage in your home. AVI: Not all condos are cookie-cutter, and our sales staff are happy to walk any home-hunter through what options await them (and there are many). August has over a dozen floor plans to ensure people have choice, we recognize that not everybody is cut from the same cloth or has the same needs in their home. Even between units of similar size a layout could differ dramatically. We want people to choose the tone and feel of their home, and this goes beyond just the immediate interior, exterior features like differences in decks and patios are all taken into account. Is there a best time to buy? How can home-buyers take advantage of this? TRUMAN: In our opinion, the time to buy is always now. Global inflation and population increase mean that the cost to construct is always rising and the demand on specific neighbourhoods continue to grow as well. There’s never been a better time to start researching what options suit your lifestyle, and we’re always happy to help buyers navigate the process. AVI: It’s always a good time to buy. Homeownership is incredibly rewarding, and if it’s accessible to you and your current lifestyle, it provides an investment that can serve you well in the future. BROOKFIELD: We believe that you should purchase for less than you have been approved for by your lender. A good rule to remember is to try and stay within 80-90% of your approval so that you are not in your upper limit of your monthly cash flow. If you are purchasing your first home you are eligible for the “First time home buyers” rebate offered by the Government of Canada (see your lender for details)! You can identify a Buyers’ Market by looking at how many homes are on the market and how long they have been for sale. If most have been for sale for more than four to six months the demand is likely low. However, if they have been sold within a few weeks the market is likely in favour of the seller. As a homebuyer interested in condo ownership, you should be aware of condo fees and all of the services and amenities that these cover. Brookfield Residential is happy to break condo fees down for you in this helpful video from their Homebuyer’s School. Want to know more about which condo options at U/D are right for you? Curious about what amenities await within each of our new multi-family homes ? Be sure to stop by our Discovery Centre to get a sneak peek of U/D’s design and build options through our show suites! 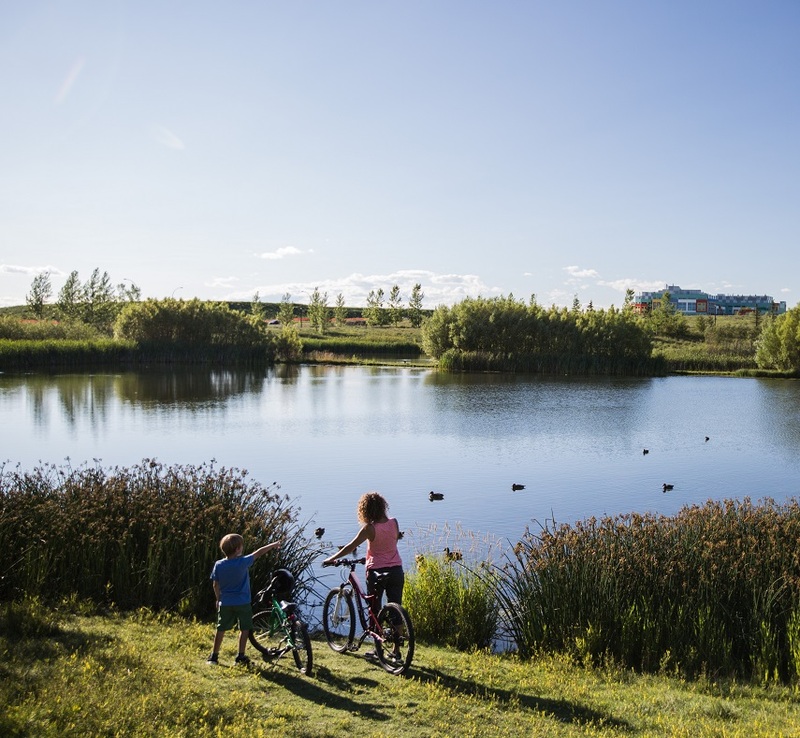 Join the conversation about YYC’s new urban community in the Northwest by following us on our favourite social channels and using the hashtag #UDlife!